Sébastien Roman holds the Télécom ParisTech Information Security master and the Lyon Ecole Normale Supérieure computer science master. His professional background led him through EADS Sycomore, Ernst & Young Information Security Assurance Practice in France and Portugal and finally he created ITekia in 2008. 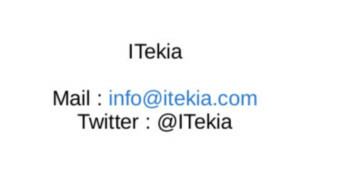 He is still the leader and owner of ITekia. 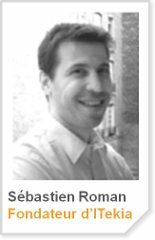 Sébastien Roman has a deep knowledge in Information Security Assurance in more than 10 European countries. Thanks to his 15 years experience, he masterizes risk assessments that help our client to identify mandatory controls. Sébastien Roman teached audit methodology to the Ecole Nationale Supérieure d'Informatique pour l'Industrie et	l'Entreprise (ENSIIE) and risk assessments to the Lens IUT.